like butterflies. Bees swarm in my eyes. drowns oil slicks. Turtles crawl between my toes. while wounded soldiers blunder through the valleys of my thighs. the moon freezes. I munch the rolling years for fun. I am woman mountain. I chew death like gum. Crysse Morrison also writes fiction and drama, and works with other writers on creative projects in various venues – mostly but not always in idyllic sunny places. 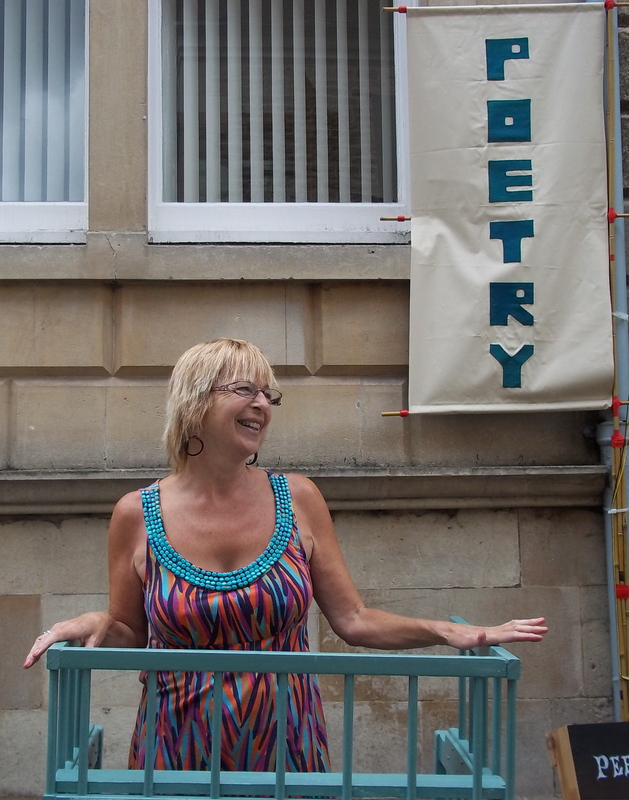 Her poetry is mainly intended for performances but several of her pieces have also been published: she has won poetry slams and appeared at festival and theatre venues across the southwest and London, and in California. And her poem Onomatopoeia has clocked up nearly 7000 views on Youtube.